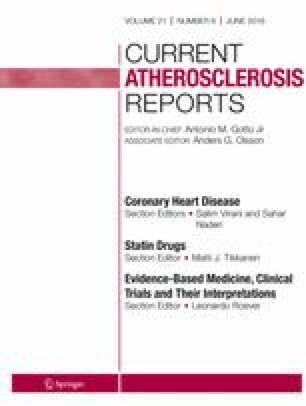 In the review, we briefly describe antithrombotic drugs and the use evidence from evidence-based medicine to elucidate the optimal antithrombotic management for patients with ST-segment elevation myocardial infarction (STEMI) undergoing percutaneous coronary stenting (PCI) at high risk of bleeding. Mandatory use of intravenous anticoagulants and dual antiplatelet agents is the cornerstone strategy in acute and long-term antithrombotic management to optimize the clinical benefit of patients with STEMI undergoing PCI. Nevertheless, with the increasing occurrence of STEMI in old population with high risk of bleeding and renal insufficiency, as well as the specificity of high bleeding risk groups, the optimization of antithrombotic therapy still remains uncertain. Bivalirudin is the optimized intravenous anticoagulant agent for these patients based on the guideline recommendations and clinic data. Timely and potent ticagrelor and prasugrel with aspirin usage can increase the clinical benefit for the patients without increasing the clinical bleeding risk. At present, the multi-center, prospective clinical studies of EVOLVE short DAPT, MASTER DAPT, and POEM trials, targeting patients with high risk of bleeding, are in experimental stage. These clinical trials will provide more objective and optimal antithrombotic management strategy for the patients. Yan Tu and Lu Hu contributed equally to this work. The authors are funded by the National Natural Science Foundation Program of China (81700388, 81770386, and 399281570352), the Major Scientific Research Foundation of Colleges and Universities of Guangdong Province (2016KZDXM016), Frontier Research Program of Guangzhou Regenerative Medicine and Health Guangdong Laboratory (2018GZR110105001), and the Clinical Training Project Foundation of Southern Medical University (No. LC2016PY002). Yan Tu, Lu Hu, Chanjuan Yang, Arash Nemat, Gaopeng Xian, Jierong Zhang, and Qingchun Zeng declare no conflict of interest.